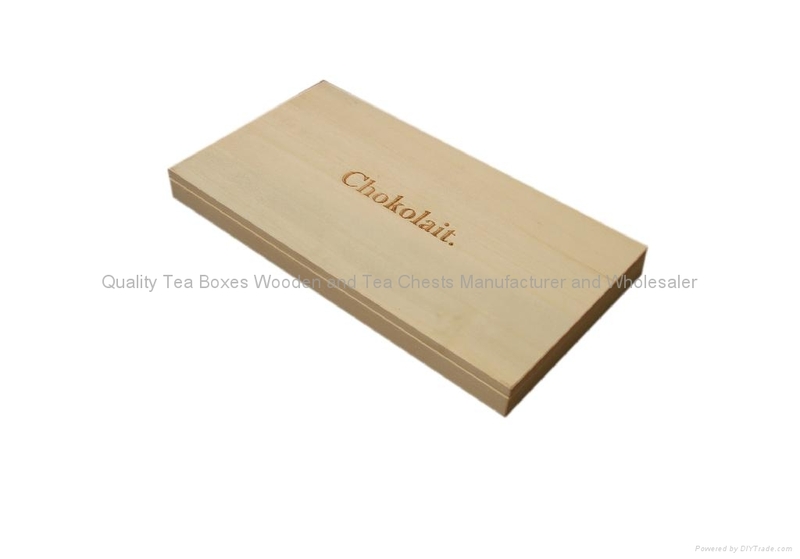 This natural unfinished chocolate bar wooden boxes is made from solid wood. The 90 degree silver hinge can make the box stand steadily. The whole box is silk smoothy sanded. Customers' logo can be embossed, engraved or printed onto the solid wood lid. If there is a paper sleeve outside the box, the whole box will look great!